We study generalized fixed-point equations over idempotent semirings and provide an efficient algorithm for the detection whether a sequence of Kleene’s iterations stabilizes after a finite number of steps. Previously known approaches considered only bounded semirings where there are no infinite descending chains. The main novelty of our work is that we deal with semirings without the boundedness restriction. Our study is motivated by several applications from interprocedural dataflow analysis. We demonstrate how the reachability problem for weighted pushdown automata can be reduced to solving equations in the framework mentioned above and we describe a few applications to demonstrate its usability. 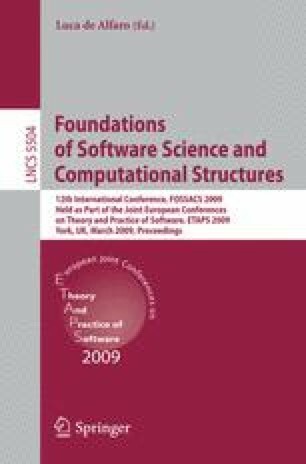 The second and fourth authors are supported in part by the DFG project Algorithms for Software Model Checking. The third author is supported in part by Institute for Theoretical Computer Science, project No. 1M0545.